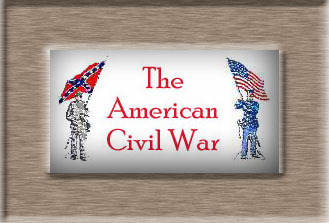 I am sure I read in a good source that no Southern newspaper was suspended by the Confederate government during the war. But I can't remember where, so I don't say so on the Web site. I, too, find myself wondering at that, and it's probably because I have that inherent, illogical Northern liberal tendency to instinctively disbelieve a nation governed by slaveowners could behave virtuously about civil liberties. But I can find no instances of suspensions. Military authorities in Virginia only threatened to shut down the "Richmond Whig." They never did so. The cantankerous Unionist editor of the "Knoxville Whig" was run out of Tennessee, but that was done by state authorities. The Unionist "Raleigh Standard" lost its state printing contract, but that was a time-honored patronage custom on both sides of the Mason-Dixon line. Even the mobs seem to have left the newspapers unmolested. The only press-related lynching I'm aware of was of a St. Louis distributor caught in Arkansas selling Horace Greely's newspaper. President Davis must have been sorely tempted to do what was done by Lincoln. He got hammered from both sides. William W. Holden's "Raleigh Standard" worked tirelessly through the war (except for a brief spell when Holden himself suspended it) to whip up political discontent and submissionist sentiment in North Carolina. On the other side the fire-eating "Richmond Examiner" and Robert B. Rhett's "Charleston Mercury" ceaselessly execrated the CSA leadership as "pimps and parasites" (the radicals were furious that their revolution had been stolen from them at its birth by more moderate men). The Southern newspapers faced other hardships, of course, and the whole culture of newspapering down there was different to begin with. Number comparisons are probably not worth much because, by one estimate, of the 800 newspapers published in the South when the war began, half or more had gone out of business by early 1862, starved for ink, paper, and cash. There is a famous (in journalism history, anyhow) instance of a Vicksburg newspaper that was printing its single-sheet editions on unused wallpaper at the time the city fell to Grant. Surviving numbers of it are worth thousands of dollars, by the way, if you should ever happen across one. I suppose it can be argued that the Southern editors realized they had an economic interest in the success of the bid for independence. It can hardly be said that they were cowed into supporting the war or the government, given the highly visible example of Holden and others. It seems the editors really did tend to rally to the cause. George Rable, in The Confederate Nation, wrote: "Although hardly exempt from provincialism and selfishness, the Southern press generally sustained the president and worked to build a national consciousness." 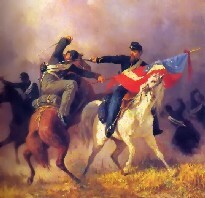 [He cites J. Cutler Andrews' "The South Reports the Civil War"]. He quotes a Georgia editor who wrote, "The man who weakens his [Davis's] influence with the people strikes at the cause in which we are engaged and is a deadly enemy of every man in the Confederacy." On controversial questions, like conscription, editors often criticized the proposals, railed at them, even, but dropped their objections once the policy was in place, because then, as one Arkansas editor maintained, it was "unpatriotic to offer any captious opposition to its immediate execution."